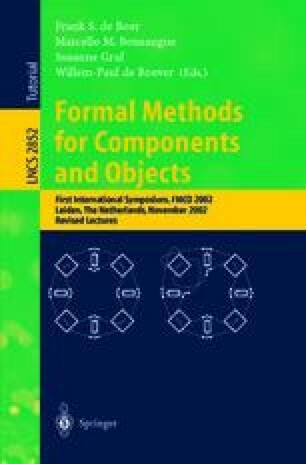 We present a strategy for automatic formal verification of Live Sequence Chart (LSC) specifications against UML models in the semantics of  employing the symmetry-based technique of Query Reduction [18,34,44] and the abstraction technique Data-type Reduction . Altogether this allows for automatic formal verification without providing finite bounds on the numbers of objects created during a run of the system. Our presentation is grounded on a specific formal interpretation of LSCs for the UML domain in terms of  which is rich enough to in particular express properties about objects which are created only during activation of the LSC. This research was partially supported by the German Research Council (DFG) within the priority program Integration of Specification Techniques with Engineering Applications under grant DA 206/7-3 and by the Information Society DG of the European Commission within the project IST-2001-33522 OMEGA (Correct Development of Real-Time Embedded Systems).